Saihoji more commonly known as Kokedera, meaning "moss temple", is one of Kyoto's Unesco World Heritage Sites. 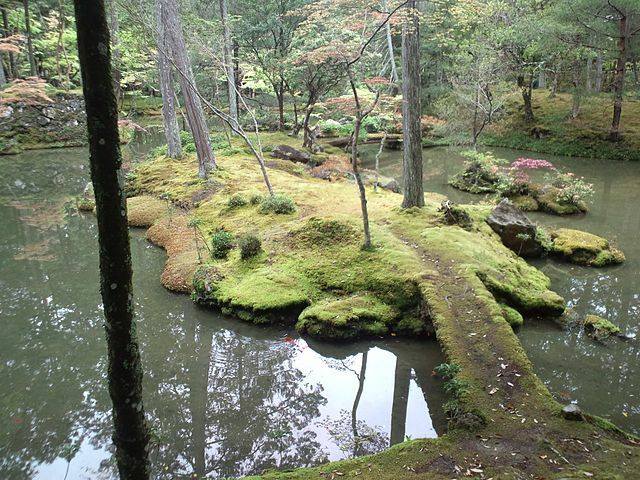 The famous moss garden of Kokedera is situated in the eastern temple grounds. 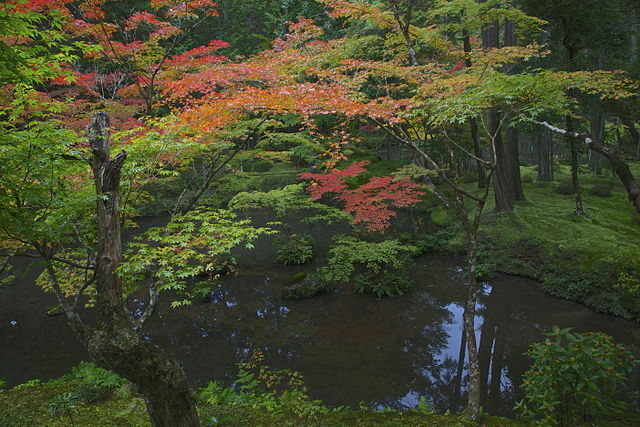 Located in a grove, the garden is arranged as a circular promenade centered on Golden Pond. The pond is shaped like the Chinese character for "heart" or "mind" and contains three small islands: Asahi Island, Yuhi Island, and Kiri Island. 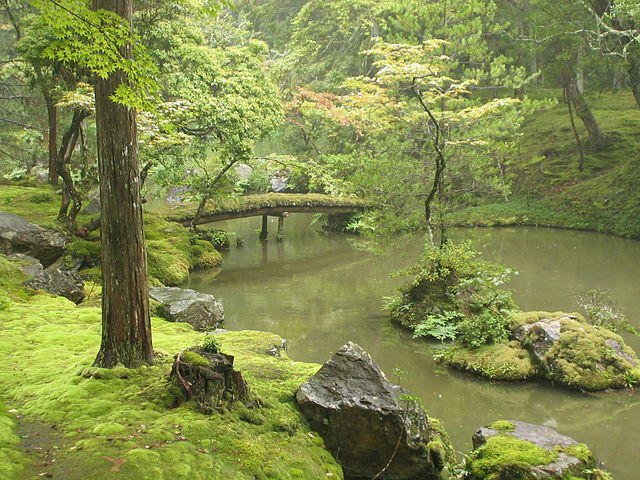 The area around the pond is covered with more than 120 varieties of moss. 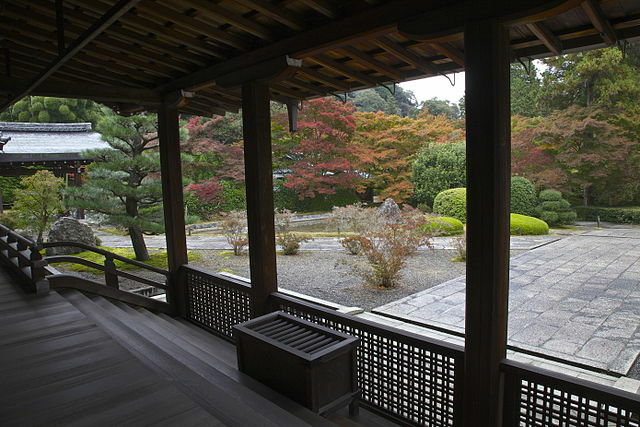 The garden itself contains three tea houses: Shonan-tei, Shoan-do, and Tanhoku-tei. 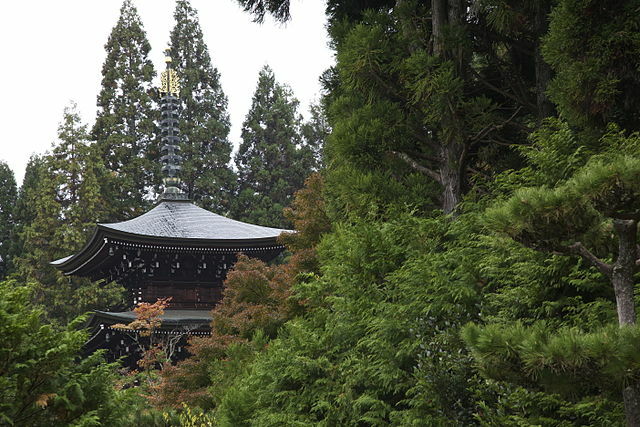 Kokedera was originally the site of Prince Shotoku's villa before becoming a temple in the Nara Period. 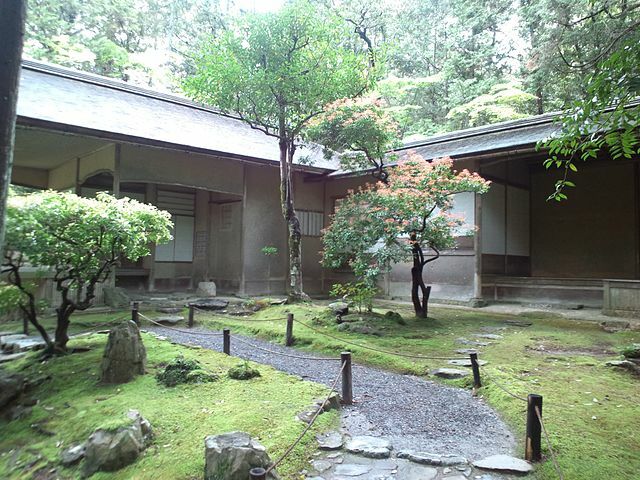 In 1339, the temple was renovated and converted into a Zen temple under the priest Muso Soseki. After entering the gates, visitors should proceed directly to the temple to pay the entrance fee. Visitors are given access to the grounds for 90 minutes, but before being permitted, they are asked to engage in an activity, which varies from day to day. These include zazen "sitting meditation", hand copying sutras "shakyo", and chanting sutras. The activities are not as challenging as it may first sound. It’s all pretty self-explanatory and you can just look at what the nearest Japanese person is doing. One is then asked to write down one's wish, name, and address. The monks keep all the sutras in the pagoda and continue to pray for all. 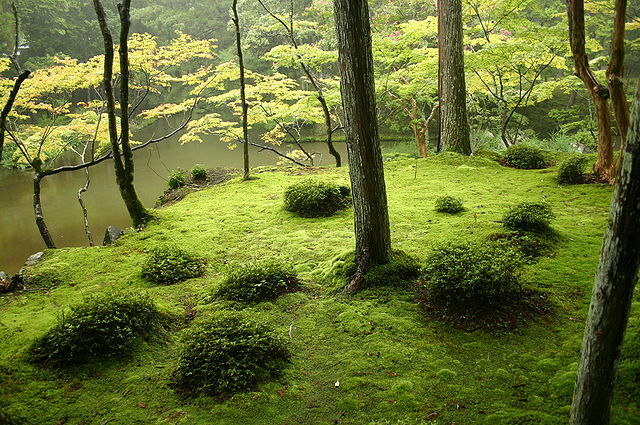 The most famous times to visit are either during the East Asian rainy season "in Kyoto, early June to mid-July", when the rains make the moss particularly lush, or in late autumn, when the turning leaves contrast with the moss. Entrance to this temple requires a reservation made in advance by mail. Admission is 3000 yen, which makes it the most expensive temple in Kyoto to visit. To make a reservation, you need to send a request by postal mail to the temple giving them your name, the number of people in your party, and the date you prefer to visit, as well as a self-addressed, stamped return postcard. For visitors applying from inside Japan, Self-return postcard called "Ofuku Hagaki" is available at the post office or convenience stores like, Family Mart, Lawson and 7-ELEVEN. Visitors applying from overseas can send a postcard or letter with an International Reply Coupon, available from most local post offices around the world. The request must reach the temple up to 7 working days before the intended visit; there is only one visit per day, with time varying, so time of visit cannot be specified. Bus – From Kyoto Station take Kyoto Bus No. 73 or 83 to Kokedera Suzumushidera Bus Stop "about 1 hour". It’s 2 minutes’ walk to the Kokedera Temple. The 500 yen 1-Day Bus Pass does not cover any of the Arashiyama or Matsuo-bound buses.